I just recently watched the original “The Postman Always Rings Twice” (1946) and was taken by Lana’s commanding performance as Cora Smith. She said that it was the role she liked best out of a long career in front of the camera. Her chemistry with John Garfield is unmistakable and almost as explosive as the love affair with the camera. She’s one of the best femme fatales ever, in my humble opinion at a time when film noir dominated the cinematic landscape. Lana started in films when she was 17 and, contrary to Hollywood legend, was not discovered in a soda fountain. She was, however, the “sweater girl” of every man’s dream and came into her own as an actress (especially in Postman) when her private life threatened to derail her career. Lana had 7 husbands and numerous boyfriends – the most famous of which was Johnny Stompanato. Johnny was a gangster and was in the process of beating the crap out of Lana when Lana’s only daughter, Cheryl Crane, stabbed Johnny to death in 1958. The resulting firestorm of publicity and trial made the famous “sweater girl” infamous overnight. Cheryl, tried for murder, was acquitted (justified homicide) and wrote a tell-all about her mother in 1988. Lana would recover her career in “Imitation of Life” (1959) and once again be at the top of her game. But her appetite for men and alcohol would eventually take it’s toll. But none of that diminishes her performance in “Postman”, if anything it enhances it. I recommend watching her eat the scenery in the original noir. It’s her film the second she shows up and you end up being riveted to her every mannerism, her suggestive outfits – her cooler than cool exterior that hides the molten lava just behind her eyes. She is an amazing actress who’s life off-screen was just as dramatic as any of her film roles. My favorite quote of Lana’s was about happiness: “The thing about happiness is that it doesn’t help you to grow; only unhappiness does that. So I’m grateful that my bed of roses was made up equally of blossoms and thorns. I’ve had a privileged, creative, exciting life, and I think that the parts that were less joyous were preparing me, testing me, strengthening me.” What an astoundingly insightful, thoughtful and intelligent woman! She didn’t suffer fools lightly – maybe that’s why she had so many husbands! I’ll always remember Lana not as the “sweater girl” but as the self-assured, confident yet fatalistic Cora in “The Postman Always Rings Twice.” It’s no wonder the role was her personal favorite out of a long, long film career. In some way, Lana channeled her own personal turmoil into the film noir thriller and made her role all the more magnetic. She went through hell and came out the other side several times. 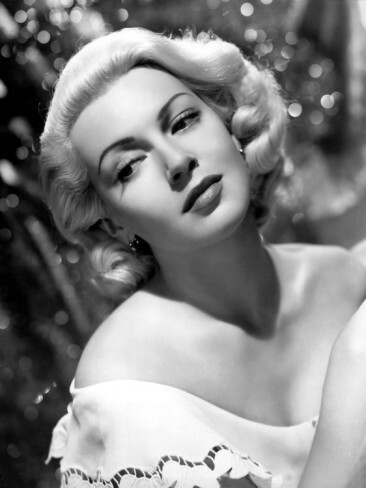 She knew Hollywood was no bed of roses – and grew stronger for the thorns. So many actresses have followed in her footsteps but I think she was an absolute original in a town that is full of copycats – both then and now.